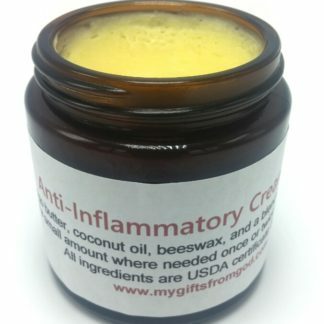 A 100% organic blend of raw unrefined shea butter, extra virgin coconut oil, and sweet almond oil forms the base of this luxurious cream. Jojoba, pomegranate seed oil, grape seed oil, and raspberry seed oil has been added, along with the finest quality vitamin E oil, to penetrate deeply, soothe, heal and protect your skin. 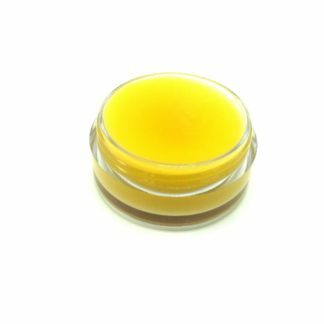 Organic pharmaceutical grade essential oils have been added to take this facial cream to an extreme level of protection, even providing a natural organic source of 30% SPF. Shea promotes skin cell growth, helps calm inflamed skin and soothes dry cracked skin. Coconut oil nourishes and smooths the skin surface. It is naturally antibacterial, anti-fungal, moisturizing and great for atopic dermatitis. 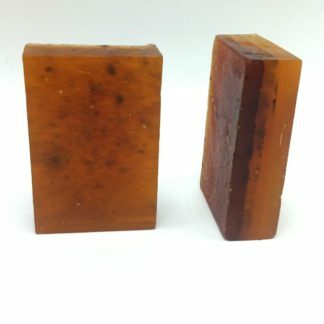 Jojoba is the only substance that is bio-identical to human sebum – an oily substance naturally produced by the oil glands below the skin surface. Seals in moisture and creates an effective barrier to external elements. Pomegranate seed oil contains a unique polyunsaturated oil called punicic acid, an omega 5 fatty acid, which has strong anti-inflammatory properties. This oil fends off free radicals to keep skin aging at bay. It also provides protection against sun damage. Grape seed oil is a great source of polyphenols – flavonoids, essential fatty acid – linoleic acid, vitamin E, and oligomeric proanthocyanidin, making it the perfect addition to this cream for it’s ability to treat dermatitis, acne, wrinkles, dry and itchy skin, and age spots. It is also an anti-inflammatory, anti-oxidant, anti-histamine, anti-aging, anti-allergic, antimicrobial, and adaptogenic. Raspberry seed oil is loaded with vitamin E, is an antioxidant, reduces skin damage and removes free radicals that contribute to skin-aging. It is the best natural source for SPF. The SPF value was found to be 28-50 for UVB rays, and 6.75 – 7.5 for UVA rays. UVB rays are the rays that cause sunburn. UVA rays are what contributes to aging and skin cancer. Additional vitamin E oil for it’s amazing anti-aging effects and to help your skin’s ability to retain it’s natural moisture. Ylang Ylang essential oil has antimicrobial properties that help reduce skin irritation and redness, heal acne, and retain moisture. Cucumber seed essential oil provides deep skin cleansing, moisturizing, treats acne, blackheads, and eye puffiness. Orange essential oil is an anti-inflammatory and antiseptic that treats age spots beautifully, while detoxifying. Rosewood essential oil has tissue-regenerating properties that help prevent wrinkles and premature aging. 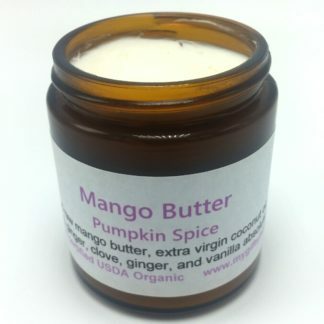 Also works well in preventing acne and blackheads while controlling the amount of sebum secreted by your oil glands. Tea Tree essential oil, a natural antibacterial, is significantly effective in treating acne, and far better for your skin than any pharmaceutical product. Rosemary essential oil is antibacterial, anticancer, antifungal, anti-infection, anti-inflammatory, antioxidant, making it the perfect addition to treat acne and clarity the skin. Used regularly, this amazing cream will not only improve the appearance of your skin, it will make it healthier. Use clean hands to apply to clean skin once or twice daily as needed. 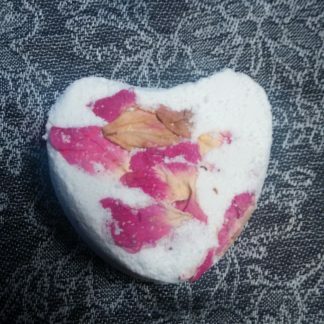 Also available, is our Amazing Grace Facial Bar, a perfect combination for beautiful skin. Ingredients: Organic raw unrefined shea butter organic sweet almond oil, organic extra virgin coconut oil, organic beeswax organic jojoba, organic vitamin E oil, organic pomegranate seed oil, organic grape seed oil, organic raspberry seed oil, organic ylang ylang essential oil, organic cucumber seed essential oil, organic orange essential oil, organic rosewood essential oil, organic tea tree essential oil, organic rosemary essential oil. Comes in a beautiful cobalt blue 2 oz glass jar, designed to protect fragile essential oils. 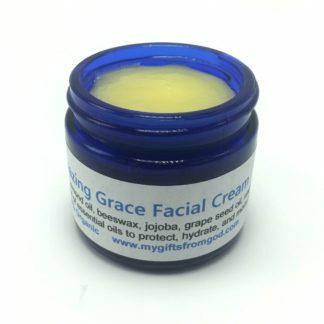 I really like the Amazing Grace Facial Cream. It is appropriately named. It is both smooth and soothing on my skin. I think it is also reasonably priced. You do not have to use it lavishly so It lasts longer than other so called organic products which you may have to purchase in large quantity or make frequent purchases. Amazing Grace is an amazing product. 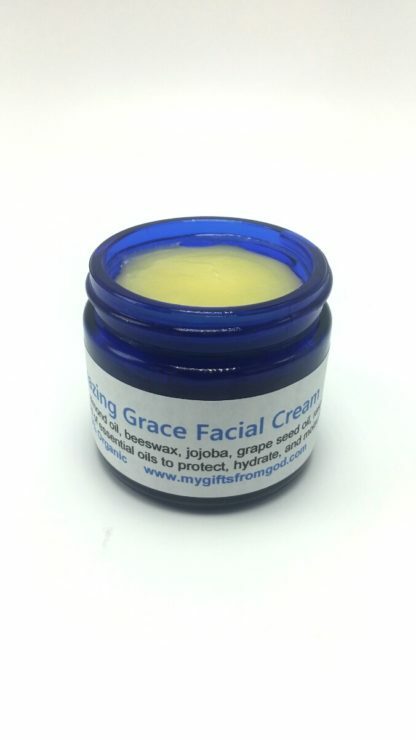 I’ve been using Amazing Grace Facial Cream for a few months now. My complexion has transformed to a more smooth, more evenly toned surface. I am also using less makeup as a result. Hi Patti, My name is Steven S. something you may not know . I used my wife’s amazing grace facial cream on my face after shaving. I have used various products to sooth my irritated skin but nothing performed like this. Hey guys try this after you shave, just a dab does the job it’s impressive. Also i love the orange spice bar and the lemon coconut, both are wonderful. All other products leave some residue but your bars leave me truly clean for the first time in my life. LOVE them. The Amazing Grace face cream is the absolute best face cream I have ever used. I have sensitive skin and many facial products either break me out or burn my skin. This is the only face cream I have ever used that truly moisturized my skin without clogging my pores. Love the light feeling of this cream. And a little goes a long way. All the natural ingredients make me feel good about using this. I love how silky and hydrating this moisturizer is. And I love the compliments I’ve been getting! But most of all, I LOVE LOVE LOVE hoe it is diminishing my age spots!!! I have tried several prescriptions and OTC meds, but none of them worked. The Amazing Grace works, and with NO toxins. What a blessing!